For those in search of an uncommon and beneficial herbal tea, boldo tea is one well worth investigating. Boldo is a native tree of the central regions of Chile, identified by its broad leaves and small, round green fruit. The native Chilean people commonly harvest the leaves of this plant to be made into an herbal tea. As it is known for a distinct and mildly bitter taste, it may be served by itself, or blended with another popular South American drink called yerba mate. The tea is known for a number of medicinal benefits, a property supposedly discovered by accident when a Chilean shepherd observed that the health of his flock improved when they grazed on boldo leaves. Boldo tea has been used for generations for its health benefits, especially to promote healthy digestion, immunity and liver function. Boldo tea’s most recognized benefit is its positive effect on the digestive system. Once in the body, boldo is known to stimulate liver activity. As the liver is responsible for producing bile and digestive juices, this can help the digestive process and provide better breakdown of food into nutrients. Its ability to stimulate salivation also helps with the breakdown of food. Boldo leaf offers antispasmodic properties as well. This makes it a useful tea for alleviating stomach cramps and irritability cause by an overactive or irritated bowel muscle. This, combined with the mild laxative effect offered by boldo tea, makes it an excellent tea for digestion, and healthy bowel function in particular. Boldo tea is also a natural immune booster. The leaves offer antimicrobial and antibacterial properties that help the immune system to eliminate harmful bacteria. There is also some anecdotal evidence that it may be used against parasites as well, though there are currently no studies to confirm this ability. Boldo tea does confer anti-inflammatory as well as antipyretic (fever-reducing) properties. These can help to regulate a fever during sickness, which the body may not be able to control properly. With its antioxidant properties, it also prevents free radicals from causing cell damage, which would otherwise weaken the cells and make them more vulnerable to infection. Yet another of boldo tea’s positive uses is promoting the health and function of the liver, one of the body’s most important organs. Boldo has demonstrated the ability to stimulate the liver’s production of bile, an important fluid for digestion. Due to its antioxidant properties, boldo also protects the hepatic (liver) cells from damage caused by free radicals. By protecting these cells, boldo tea helps to keep the liver from premature aging and vulnerability to infection. Preparation: Preparing a healthy cup of boldo tea is quite simple. Place one teabag in a cup of hot water, not boiling. Allow the tea to steep for 10-12 minutes, or to desired strength. Boldo tea is considered somewhat bitter, and honey or sugar may be desired for flavoring. Boldo tea is also commonly mixed with yerba mate, another herbal tea native to the same area. As with any herb, individuals should exercise caution when using boldo tea in any medicinal capacity. Those on prescription medication, as well as women who are pregnant or nursing, are strongly advised to speak with a medical professional before drinking boldo tea. Whether boldo tea is appreciated for its digestive effects, its immune boosting properties, or its liver protective activity, it is clearly an herbal tea worth noting. Residents of South America may experience boldo tea in its most potent form using freshly harvested leaves. For those living in other regions of the world, this tropical plant may be difficult to obtain fresh. As one of the lesser known herbal teas, boldo tea is not commonly seen in local retail, therefore, most wishing to try this tea for themselves will need to seek it out online. When making an online purchase, choosing a company with a reputation for reliability and good quality is important. 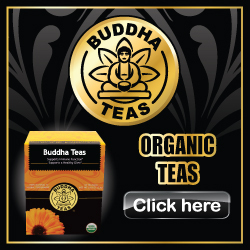 Buddha Teas proves itself to be an excellent choice, with a reputation for excellent teas as well as great customer service. By providing only natural teas in bleach-free tea bags, they guarantee that you will receive high quality teas presented just as nature intended them, giving you all the benefits of herbal tea without unnecessary chemicals and additives. We hope this article has proved to be a good introduction into the benefits of boldo tea. If you should have further questions about this tea, please do not hesitate to contact us for further information.